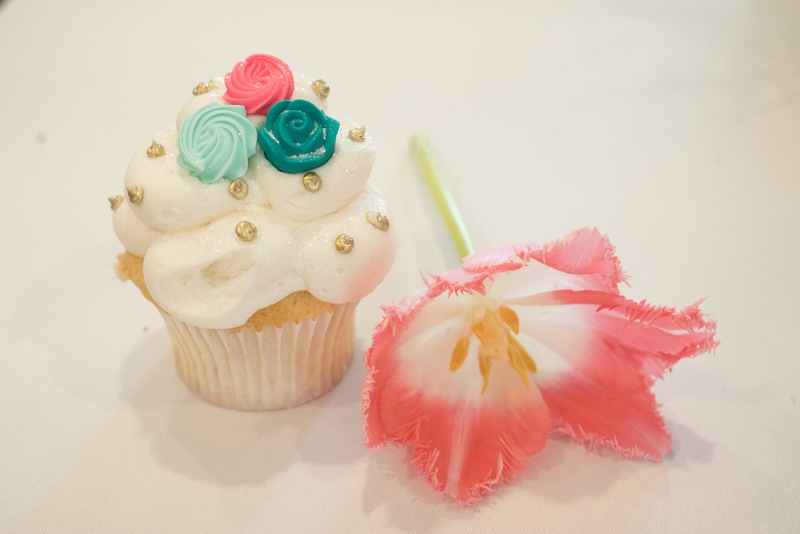 If a traditional cake just isn’t gonna cut it at your bridal shower or big day, and you’re looking for a more creative confection, we’ve got the dessert for you… Oh, and did we mention it’s DIY? 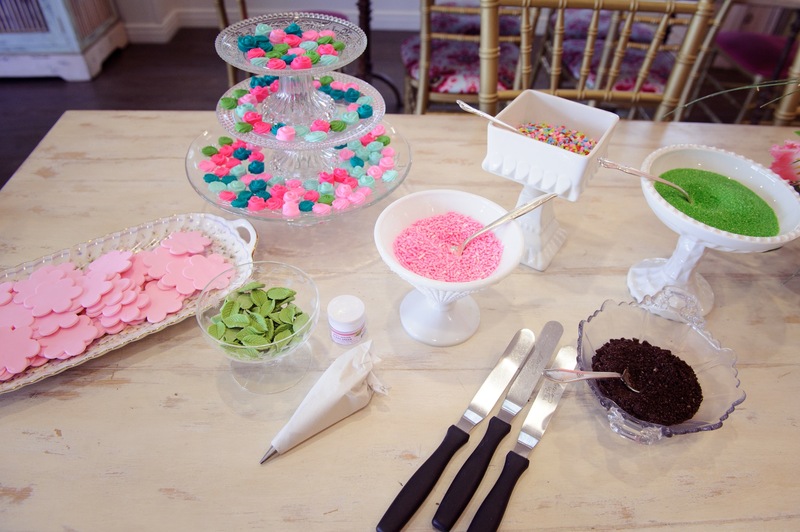 Get your guests in on the fun with a make-your-own cupcake bar that friends and loved ones of all ages will adore. It’s interactive, it’s memorable, and with just the right touches, it looks totally gorg. All you need to do to pull off the super sweet set-up is follow these four simple steps. 1. Choose your cake and frosting flavors. Forget picking out your favorite flavor. With a cupcake bar, you can choose a whole bunch of options! Consider selections that fit your celebration’s style, theme, or color palette, and if you’re working with a baker or caterer, discuss what’s available to you. How about pineapple flavored frosting for your destination “I dos”? Or dark chocolate for frosting for a dramatic evening affair? Sprinkles? Mini-marshmallows? Gummy bears? As if cake tasting wasn’t fun enough, now you get to choose the many ways your guests will be able to top off their tasty treats. Get personal by including meaningful options, like the candy bar you and your S.O. shared on your first movie date or the kind of chocolate chips your grandmother always bakes with. 3. Round-up all of your supplies. 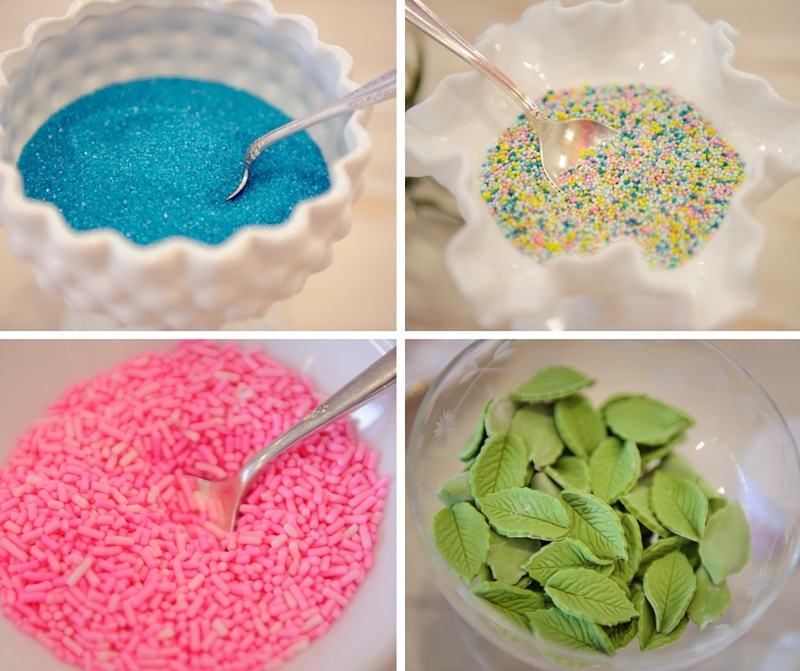 From practical to pretty, get together all of the supplies needed to pull off this delicious DIY. Ask your caterer, baker, or rental company what they can lend you, or you can buy or borrow the items yourself. You’ll need an assortment of bowls, dishes, and cake stands, as well as spoons, special knives for frosting, and piping bags. 4. Dress up your display. Beautiful blooms or a gorgeous backdrop will really step up your dessert game! Opt for a big and bold assortment of flowers that can sit on your serving table or spread out a bunch of small succulents. 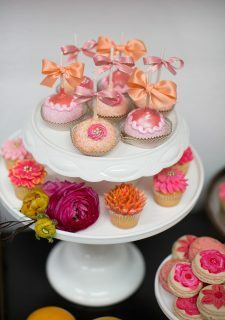 You can also try hanging colorful or textured fabric behind the cupcake spread.